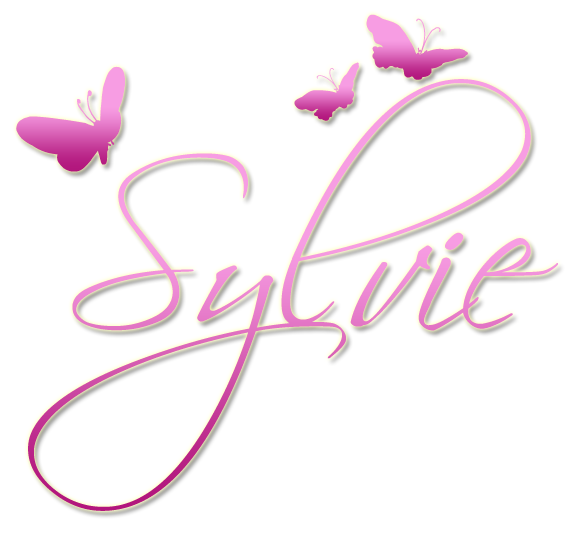 Hi Sylvie, wow wee you have been busy I have never made that many cards in one weekend before, and this one is gorge. I will swap the rain for the snow, its that cold here when I go outside it takes my breath away, and we just cant seem to get rid of the ice on our road, so feeling a bit fed up with it all. Beautiful card, you just could imagine those icicles, they are real here where i live LOL. I love also the card below with PB image! 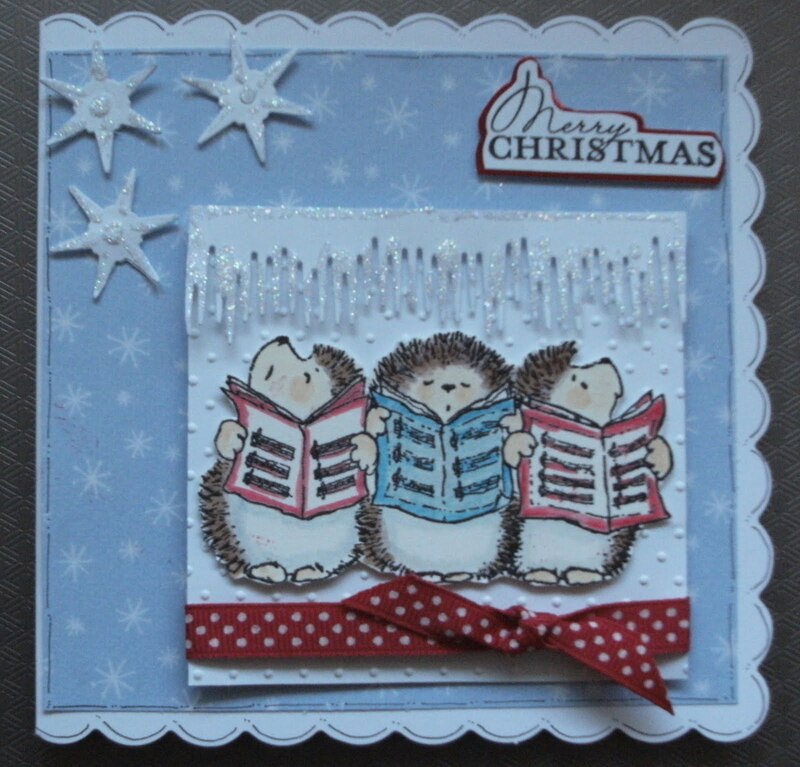 Gorgeous card with great details, love the hedgies too, they are so cute! What a lovely weather you have got, we have - 10 degrees and lots of snow. Thanks for joining us at Penny Black @ Allsorts, hope to see you soon again. What a super card and am loving those icicles, very fitting for our UK weather right now. As Chris said, I would swap them for your rain and the hope of a few rays of warm sunshine. Thank you for joining in at Penny Black at Allsorts Callenge this month and good luck. Such a pretty card Sylvia. 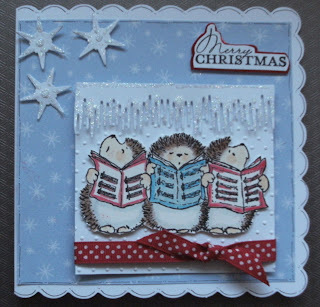 Love the singing hedgies and you have coloured them beautifully. I love those cute little icicles, so apt for the weather we are having at the moment. Thank you for playing along in our challenge at Penny Black at Allsorts and we hope you will join us again. What a beautiful card! Love that image and that icy border looks fantastic. Thank you so much for sharing this with us at penny black at all sorts!